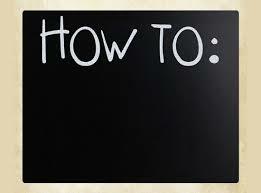 Ladies & Gents: The How-To Is Here! Remember that time that we were bragging about putting together a fantastic collection of instructional videos and business-related toolkits for all of you lovely people?? If you’ve visited the HSCG website recently, you may have seen the new and magical How-To Library tab on our homepage! Yes, it is finally here in all of it’s knowledgeable glory and we couldn’t be more excited! The HSCG How-To Library is your go-to source for all types of information to help you improve your soap and cosmetic making expertise and your business skills. Here’s some more good news: The content provided by the HSCG is free and clear of all sales pitches and slants toward a particular product or service (scout’s honor!). You can expect the information to be clear, unbiased and peer-reviewed. You won’t get fed any personal opinions in the HSCG learning library (because we fully believe that you are more than capable of forming your own..)– you’ll get facts and useable how-to directions for making products and expanding your business. Not too shabby, eh? You’ll see multiple How-To categories that cover various topics having to do with making soap, cosmetics, and other products as well as some business-boosting categories like Marketing & Promotion, Business & Finance, and Legal & Compliance. Not convinced of the awesomeness yet? Check it out for yourself! 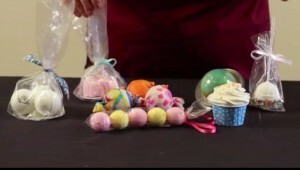 If you missed it in a previous eNews, register for free on our website and check out the ever-adorable Holly Port, owner of Lotion Bar Café, in what was our very first instructional video teaching us how to make super sassy bath fizzies. Just click the pic below!